He knows a bit about being an underdog in the pool. But can Ryan Lochte learn how to come back after a self-inflicted fall? WASHINGTON — He knows a bit about being an underdog in the pool. But now, can Ryan Lochte learn how to come back after a self-inflicted fall? And Lochte will see fewer of those sponsorship dollars after he admitted that he lied about being robbed in Rio. Lochte along with Rockville swimmer Jack Conger and two other U.S. swim team members are accused of vandalizing a gas station bathroom and getting into a confrontation with a security guard. The athletes’ behavior and Lochte’s tales could mean they face sanctions from the U.S. Olympic Committee. Ralph Lauren and Speedo announced Monday that they’re dropping their endorsement deals with Lochte. Over the years, Lochte has also had endorsement deals with Mutual of Omaha, Gillette, Gatorade, Procter & Gamble, Nissan and AT&T. “If you ask people how many medals (Lochte) won in Rio, people probably wouldn’t be sure. This has overshadowed his career,” Poston said. 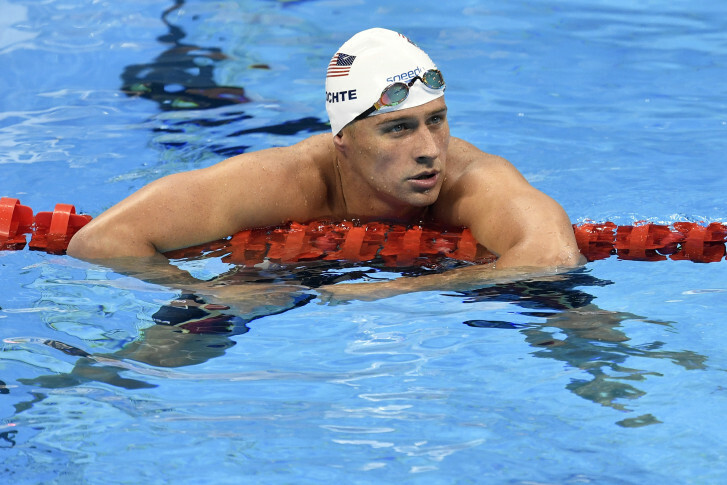 Poston said Lochte can come back — but it will be painful. “He needs to admit that he did wrong and apologize for the harm that he’s done,” said Poston. Poston said Lochte could do another one-on-one interview or a news conference. “He needs to fess up and make this right,” Poston said. Conger released a statement apologizing for the damage and his behavior. But he said he provided truthful statements to authorities, including that a weapon was pointed at the athletes.